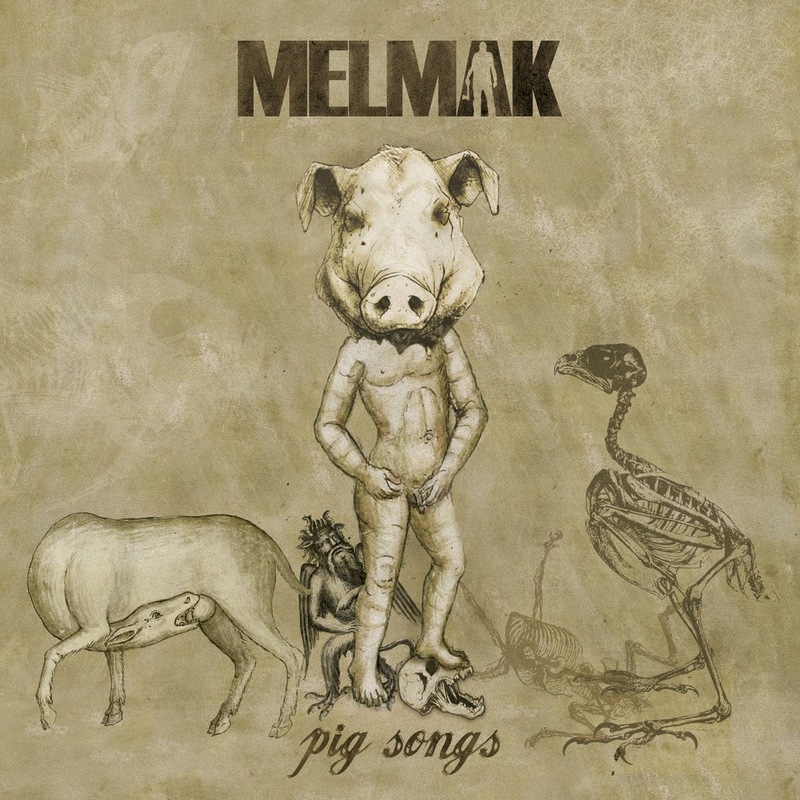 Coming in close to a year after their last EP, Melmak are back once again with Pig Songs, a noisy collection of five abrasive sludgy tracks. "Live Dead" opens things up with a squeal of feedback into a wall of bass-heavy resonance, keeping a gnarly riff going while dipping into crunchy break-downs. It's a very satisfying return from Melmak, as they've kept their style tight while still working in some new approaches, and it makes for some compulsive head-banging. Speaking of "Compulsion", that's the title of track two, which continues the nasty vibes by way of a bass-tapping intro, feedback-layering, and an eruption into wicked off-beat rhythms and gurgling growls. From there, it's on into "Abyss", which bleeds together the rougher vocals with a spacy drawl and cuts the rhythms into even trippier passages. "Suffering Is A Pleasure" continues in a similar but more compact vein, drifting into the crusty "Piggery" to wrap things up with some sonic disintegration. It's good to hear that Melmak have built on their previous wickedness with plenty of style, and just enough polish to really bring out the details, so sludge fans who haven't already had a chance to get familiar with this duo have a perfect opportunity to jump in now, and dig into the past stuff once they've given their ears a good dosing.